The economists are leveraging their academic prestige with secret reports justifying corporate concentration. Their predictions are often wrong and consumers pay the price. If the government ends up approving the $85 billion AT&T-Time Warner merger, credit won’t necessarily belong to the executives, bankers, lawyers, and lobbyists pushing for the deal. More likely, it will be due to the professors. A serial acquirer, AT&T must persuade the government to allow every major deal. Again and again, the company has relied on economists from America’s top universities to make its case before the Justice Department or the Federal Trade Commission. Moonlighting for a consulting firm named Compass Lexecon, they represented AT&T when it bought Centennial, DirecTV, and Leap Wireless; and when it tried unsuccessfully to absorb T-Mobile. And now AT&T and Time Warner have hired three top Compass Lexecon economists to counter criticism that the giant deal would harm consumers and concentrate too much media power in one company. Today, “in front of the government, in many cases the most important advocate is the economist and lawyers come second,” said James Denvir, an antitrust lawyer at Boies, Schiller. 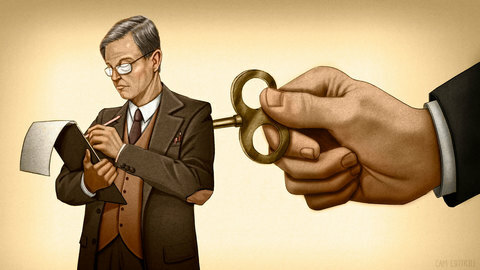 Economists who specialize in antitrust — affiliated with Chicago, Harvard, Princeton, the University of California, Berkeley, and other prestigious universities — reshaped their field through scholarly work showing that mergers create efficiencies of scale that benefit consumers. But they reap their most lucrative paydays by lending their academic authority to mergers their corporate clients propose. Corporate lawyers hire them from Compass Lexecon and half a dozen other firms to sway the government by documenting that a merger won’t be “anti-competitive”: in other words, that it won’t raise retail prices, stifle innovation, or restrict product offerings. Their optimistic forecasts, though, often turn out to be wrong, and the mergers they champion may be hurting the economy. President Obama promised to fight corporate concentration. Eight years later, the airline industry is dominated by just four companies. And you’re paying for it. Read the story. Some of the professors earn more than top partners at major law firms. Dennis Carlton, a self-effacing economist at the University of Chicago’s Booth School of Business and one of Compass Lexecon’s experts on the AT&T-Time Warner merger, charges at least $1,350 an hour. In his career, he has made about $100 million, including equity stakes and non-compete payments, ProPublica estimates. Carlton has written reports or testified in favor of dozens of mergers, including those between AT&T-SBC Communications and Comcast-Time Warner, and three airline deals: United-Continental, Southwest-Airtran, and American-US Airways. American industry is more highly concentrated than at any time since the gilded age. Need a pharmacy? Americans have two main choices. A plane ticket? Four major airlines. They have four choices to buy cell phone service. Soon one company will sell more than a quarter of the quaffs of beer around the world. Mergers peaked last year at $2 trillion in the U.S. The top 50 companies in a majority of American industries gained share between 1997 and 2012, and “competition may be decreasing in many economic sectors,” President Obama’s Council of Economic Advisers warned in April. While the impact of this wave of mergers is much debated, prominent economists such as Lawrence Summers and Joseph Stiglitz suggest that it is one important reason why, even as corporate profits hit records, economic growth is slow, wages are stagnant, business formation is halting, and productivity is lagging. “Only the monopoly-power story can convincingly account” for high business profits and low corporate investment, Summers wrote earlier this year. During the campaign, Trump didn’t signal what his broader approach to mergers would be. But the early signs are that his administration will weaken antitrust enforcement and strengthen the hand of economists. He selected Joshua Wright, an economist and professor at George Mason’s Antonin Scalia Law School, to lead his transition on antitrust matters. Wright, himself a former consultant for Boston-based Charles River Associates, regularly celebrates mergers in speeches and articles and has supported increasing the influence of economists in assessing monopoly power. “Mergers between competitors do not often lead to market power but do often generate significant benefits for consumers,” he wrote in The New York Times this week. A late Obama administration push to scrutinize major deals notwithstanding, the government over the past several decades has pulled back on merger enforcement. In part, this shift reflects the influence of Carlton and other economists. Today, lawyers still write the briefs, make the arguments and conduct the trials, but the core arguments are over economists’ models of what will happen if the merger goes ahead. These complex mathematical formulations carry weight with the government because they purport to be objective. But a ProPublica examination of several marquee deals found that economists sometimes salt away inconvenient data in footnotes and suppress negative findings, stretching the standards of intellectual honesty to promote their clients’ interests. Earlier this year, a top Justice Department official criticized Compass Lexecon for using “junk science.” ProPublica sent a detailed series of questions to Compass Lexecon for this story. The firm declined to comment on the record. In contrast to their scholarship, the economists’ paid work for corporations rests almost entirely out of the public eye. Even other academics cannot see what they produce on behalf of clients. Their algorithms are shared only with government economists, many of whom have backgrounds in academia and private consulting, and hope to return there. At least seven professors on Compass’s payroll, including Carlton, have served as the top antitrust economist at the Department of Justice. Charles River Associates boasts at least three. “There are few government functions outside the CIA that are so secretive as the merger review process,” said Seth Bloom, the former general counsel of the Senate Antitrust Subcommittee. The trio then shopped their services to a dozen law firms, which all turned them down. “If you had to value the firm at the end of the tour, you’d have to say it was zero,” said Rosenfield. They went back to their academic work. Not too long after, AT&T called Posner to ask if he could consult on its antitrust defense. The government was trying to break up Ma Bell. Posner agreed. So began a long and mutually beneficial relationship between AT&T and Lexecon. Lexecon capitalized on the Eighties merger explosion. M&A was rising to cultural prominence as the domain of swashbucklers. Corporate raiders enlisted renegade lawyers and brash investment bankers to take on stalwart names of American industry. Behind the scenes, the less-flamboyant economists gained influence. From the time antitrust laws began to be passed, in the late 19th century, until the 1970s, courts and the government had presumed a merger was bad for customers if it resulted in high concentration, measured at thresholds much lower than the market shares for the dominant companies in many sectors today. Led by University of Chicago theorists, a new group of scholars argued that this approach was overly simplistic. Even if a company dominated its industry, it might lower prices or create offsetting efficiencies, allowing customers more choice or higher quality products. In 1982, William Baxter, Reagan’s first head of the Justice Department antitrust division, codified the requirement that the government use economic models and principles to forecast the effect of mergers. Lexecon seized the opportunity. “We were not just going to talk about economic theory but show with data that what we were saying could be justified,” Carlton said. By the late 1980s, the top four Lexecon officers were each making $1.5 million a year, according to a Wall Street Journal article. Any merger over a certain dollar size — currently, $78 million — requires government approval. The government passes most mergers without question. On rare occasions, it requests more data from the merging parties. Then the companies often hire consulting firms to produce economic analyses supporting the deal. (Sometimes the government hires its own outside academic.) Even less frequently, the government concludes it can’t approve the merger as proposed. In such cases, the government typically settles with the two companies, requiring some concession, such as sale of a division or product line. Just a handful of times a year, the government will sue to block a merger. Recently, the Obama administration has filed several major suits to block mergers, as companies in already concentrated industries propose bigger and bigger deals. According to a tally from the law firm Dechert, the government challenged a record seven mergers last year out of a total of 10,250. Recent research supports the classic view that large mergers, by reducing competition, hurt consumers. The 2008 merger between Miller and Coors spurred “an abrupt increase” in beer prices, an academic analysis found this year. In the most comprehensive review of the academic literature, Northeastern economist John Kwoka studied the effects of thousands of mergers. Prices on average increased by more than 4 percent. Prices rose on more than 60 percent of the products and those increases averaged almost 9 percent. “Enforcers clear too many harmful mergers,” American University’s Jonathan Baker, a Compass economist who has consulted for both corporations and the government, wrote in 2015. Once a merger is approved, nobody studies whether the consultants’ predictions were on the mark. 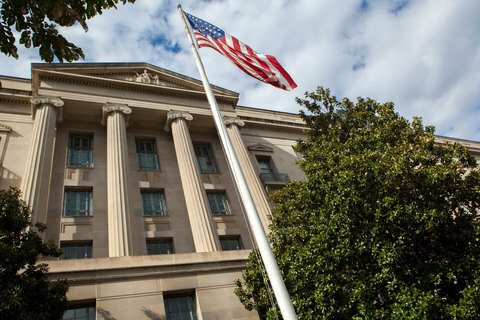 The Department of Justice and the Federal Trade Commission do not make available the reports that justify mergers, and those documents cannot be obtained through public records requests. Sometimes the companies file the expert reports with the courts, but judges usually agree to companies’ requests to seal the documents. After a merger is cleared, the government no longer has access to the companies’ proprietary data on their pricing. Compass Lexecon itself is the product of serial M&A. A Michael Milken-backed company bought Lexecon for $60 million in 1999. Then it sold Lexecon to FTI Consulting, an umbrella group of professional consulting service firms, in 2003 for $130 million. In the deal, Carlton received $15 million through 2008 in non-compete payments, according to a Chicago Crain’s Business story. He also has held an equity stake in the firm. In 2006, FTI bought Competition Policy Associates, another consulting firm that had also built itself through combination, merging it with Lexecon to form Compass Lexecon. FTI Consulting had $1.8 billion in revenue in 2015, of which $447 million came from economic consulting. The economic consulting division has 600 “revenue-producing” professionals who bill at an average hourly rate of $512 an hour, the highest of all the company’s segments. Charles River Associates brought in about $300 million in revenue last year, led by antitrust consulting. So few top consulting firms and leading experts dominate the sector today that economists wonder mordantly whether excess concentration plagues their own industry. In 2013, the government granted a waiver to Joshua Wright, the law professor and economist who was a consultant for Charles River. The waiver permitted him to serve as an FTC commissioner and review deals his former consulting firm advised on, as long as he didn’t deliberate on matters that he had directly worked on. Otherwise, the commission’s business might have ground to a halt because Charles River was involved in a third of all merger cases that came before the agency. Wright declined to comment. Jonathan Orszag, senior managing director of Compass Lexecon, came up with a solution to allow Compass experts to work on more mergers. 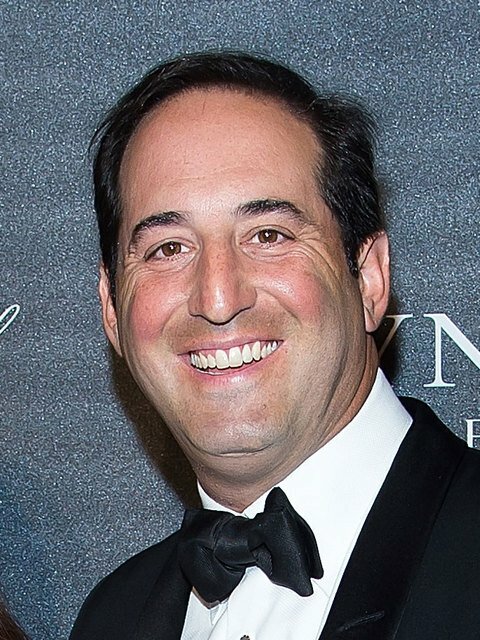 He is a well-known figure in Washington circles, and the brother of Peter Orszag, the vice chairman of investment bank Lazard and former high level Obama administration official. Jonathan’s social media teems with his globetrotting adventures. Brides magazine featured his destination wedding in the Bahamas. In August 2015, he celebrated on Twitter that he had played on all of the top 100 golf courses in the world. Although he does not have a Ph.D. in economics, he serves as an expert himself and is respected particularly for his expertise on global deals. He declined to comment on the record to ProPublica. At Orszag’s urging, the firm relaxed its conflict of interest rules, according to multiple people who have worked with or for Compass. Now, Compass Lexecon experts can, and do, advise both sides in disputes. (Under Compass policy, the parties need to consent to such arrangements.) Separate teams of staffers, who cannot communicate with the opposing side, run the cases. The arrangements require on occasion that experts with adjacent offices must stop talking to each other during cases. Compass economists can reach very different answers to the same question, depending on who is paying them. In 2012, the federal government and a group of states sued Apple for conspiring with several major publishers to fix prices on e-books. The states hired American University’s Jonathan Baker, the Compass economist, as one of its experts. Baker’s report concluded that e-book prices cost 19 percent more than they should, as a result of the price-fixing. Another government expert arrived at the same 19 percent estimate, and calculated that consumers had been overcharged by $300 million. Apple later hired Orszag, also of Compass, to do the same calculation. Orszag first came to the conclusion that the effect on prices was lower than the government side’s estimate, around 15 percent. Then he argued there were offsetting benefits to consumers that knocked the number all the way down to 1.9 percent, or just $28 million. “The actual harms suffered by consumers … are modest,” Orszag concluded. Lawyers for the states found out Orszag was working for Apple only when he filed his expert report in the case. The news shocked them, two of the lawyers said, because they felt Orszag had been privy to their legal strategy. Orszag had personally negotiated and signed the contract when the states retained Compass and Baker to do the expert work attacking Apple, now Orszag’s client. The contract prohibited Compass from working on both sides of the case without permission, which had not been obtained. The states, which had paid Compass and Baker $1.2 million for their work, later sued Compass for breach of contract. They found out that two of its staffers, an administrative assistant and an entry level researcher, had worked for both of the opposing economists. In a deposition, Orszag defended his firm, saying that he believed the Compass contract with the state governments “had been suspended” when he signed on to work for Apple. Compass settled with the states, paying back some of the money. A person familiar with Compass’ position says that its conflict-of-interest rules didn’t apply to the low-level employees who helped both economists. The premier economists in the field move back and forth from consulting firms to the top positions at the Justice Department and the Federal Trade Commission. In 2006, Carlton joined the Bush Department of Justice for a 17-month stint as the highest-ranking department economist, before returning to the firm. Carlton and the other luminaries in the field keep busy. 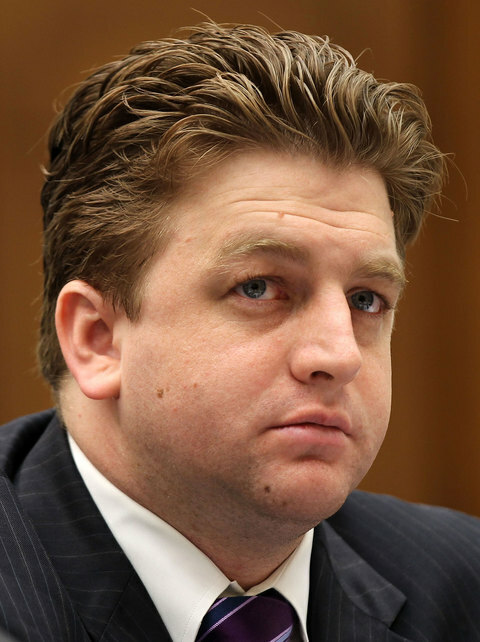 From 2010 to 2014, Carlton consulted on 35 cases, according to his declaration in one case. That total includes his help for companies not only in front of the government but also in private litigation. Mostly he works on the defense side, fending off accusations of price-fixing or anti-competitive behavior. His clients have included Verizon, Honeywell, Fresh Del Monte, and Philip Morris. Because top experts get bonuses based on what the firm generates in billings, their annual incomes can run up to $10 million in a very good year. Like other top consultants, Carlton devotes hundreds of words in his expert reports to describing his academic credentials, scholarly publications, and journal affiliations. Corporate clients value him not just for his prestige and point of view but for his skill as a witness. Unlike some of his colleagues, he is never bombastic or arrogant. With small eyes, puffy cheeks crowding his soft, wide nose, and hair that sweeps above his brow, Carlton looks as intimidating as a high school guidance counselor. But his calm, unassuming demeanor, even under intense cross-examination, makes him the perfect champion for his corporate clients. An off-the-cuff comment at a recent conclave illustrated Carlton’s prominence in the hidden world of antitrust proceedings. One evening in April, lawyers, government officials, and economists gathered in Washington for the spring meeting of the American Bar Association’s Antitrust Section. Held at the JW Marriott on Pennsylvania Avenue, the gathering is the prime marketing event of the year for the economic consulting industry. After a mind-numbing day of panels on issues like “Clarifying Liability in Hub-and-Spoke Conspiracies,” the consultancies hosted competing cocktail receptions. The Charles River Associates event featured a generous spread of Peking Duck. Berkeley Research Group hired a live jazz band. Justice Department staffers sipped drinks with once-and-future colleagues now at white-shoe law firms, and Ivy League economists. Earlier in the day, during a discussion of new theories about the damage caused by concentration in the airline industry and the overall economy, antitrust attorney John Harkrider shrugged at his fellow panelists. “I’m sure if you paid Dennis Carlton a million bucks, he’d blow up all these things,” he remarked. Carlton’s rosy forecasts about the impact of proposed mergers haven’t always proven accurate. In the summer of 2005, Whirlpool, the appliance giant, decided to take over Maytag, a storied name that had gradually faded. The combination would leave three companies — the other two being GE and Electrolux — in control of more than 85 percent of the market for clothes washers and dryers. They would have 88 percent of the dishwasher market and 86 percent for refrigerators. In addition to the namesake brands, the newly enlarged Whirlpool would own Amana, KitchenAid and Jenn-Air, and manufacture many Kenmore appliances. The companies hired top law firms to persuade the Bush administration Justice Department to allow the deal. And the firms brought in Carlton. Despite the combined entity’s powerful position, Carlton argued in his report that it still faced a threat from foreign competition. The possibility that a big box retailer might switch to LG or Samsung would prevent the newly combined company from raising prices, he asserted. The companies did not persuade Justice Department officials, who proposed blocking the merger. An outside economic expert of their own, University of California at Berkeley’s Carl Shapiro, backed the staff’s analysis. The Bush appointee who headed the antitrust division, Assistant Attorney General Tom Barnett, resisted the staff’s conclusions. Right after Shapiro provided his analysis, Barnett wrote to the companies’ law firms, outlining the arguments that Shapiro and the staff made against the merger. Barnett, who declined comment, provided a roadmap to how to respond to the government’s claims, a person familiar with the letter said. Carlton’s predictions did not pan out. Whirlpool raised prices. Five years after the deal, Princeton’s Ashenfelter and an economist with the Federal Trade Commission found that, contrary to the Compass Lexecon pre-merger forecasts, the takeover resulted in “large price increases for clothes dryers” and price increases for dishwashers. In addition, the companies reduced their offerings, giving consumers fewer choices. By 2012, LG and Samsung had grabbed some market share mostly from second-tier players. Whirlpool and Maytag’s combined shares dropped just over two percentage points in washers and dryers, according to Traqline. But the competition had not brought down prices. Antitrust experts say that a scenario in which companies raise prices despite losing market share to competitors can be evidence that a merger hurt consumers. The Whirlpool-Maytag merger was revisited in 2014 when GE tried to sell its appliance division to Electrolux, a Swedish manufacturer. Electrolux hired Jonathan Orszag. In December 2015, government officials questioned Orszag’s expert report on the possible effects of the GE-Electrolux merger. Contradicting Ashenfelter, Orszag had submitted a study asserting that the Whirlpool-Maytag merger had not raised prices, conclusions he based mainly on the washer and dryer market. Justice Department staff economists studied backup material to his analysis and they found something troubling. Buried there was an acknowledgment that the Whirlpool-Maytag merger had resulted in price increases in cooking appliances, the very sector of the market that government officials worried might be affected by the GE-Electrolux combination. The Justice Department filed suit to stop the deal and GE pulled out during the trial. 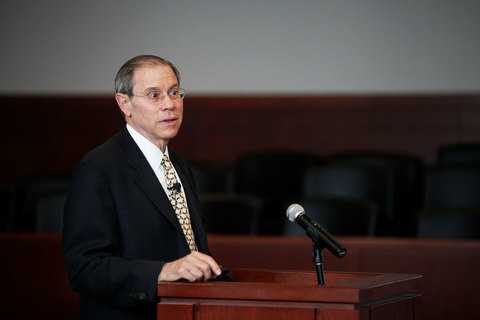 In a speech in June, outgoing deputy attorney general David Gelfand warned about gamesmanship by economic consultants. While much economic work is good, “we do see junk science from time to time,” he said. As an example, Gelfand pointed to the GE-Electrolux case, though he did not name the company or Orszag. He said the inconvenient data “should have been disclosed and presented with candor” in the expert report supporting the merger. Orszag did allude in a footnote to the other data, and provided backup materials that disclosed the higher prices in cooking appliances. He contended in his testimony that these price increases were due not to the merger itself but to other factors such as rising costs of raw materials. He said that Ashenfelter’s conclusions were wrong because, unlike Orszag, the Princeton economist did not have access to Whirlpool’s costs for making appliances. In a bright conference room at Fordham Law School on a warm day this past September, an economist realized she had made a mistake in a deposition. A WilmerHale partner seized on the error. A group of people, seated at blond wood tables in sleek, ergonomic black chairs, took notes as light streamed into the room, reflecting off the columns of Lincoln Center across the street. The economist, Michelle Burtis of Charles River Associates, turned to the audience and, letting out a laugh, broke character. “And at this point, I would definitely start obfuscating,” she said, smiling. Burtis was presenting a mock deposition to train lawyers and economists on the pivotal role economists can play in antitrust matters. Charles River and another consulting firm, Cornerstone Research, sponsored the conference. Burtis, who has short, chin-length brown hair, oversized glasses, a friendly demeanor, and a doctorate in economics from the University of Texas at Austin, continued to guide the attendees toward “what is helpful in a situation like this,” where the economists had erred but still needed to push the client’s line. “You’re never going to get me to admit this is a mistake,” she explained. The government’s reliance on economic models rests on the notion that they’re more scientific than human judgment. Yet merger economics has little objectivity. Like many areas of social science, it is dependent on assumptions, some explicit and some unseen and unexamined. That leaves room for economists to follow their preconceptions, and their wallets. Economists have an “incentive to get a reputation as someone who will make a certain type of argument. People will hire you because they know what testimony you will give,” said Robert Porter, an economist from Northwestern who has never testified on behalf of a corporation in an antitrust matter. In a 2007 interview, Carlton maintained an expert witness shouldn’t be biased. “It is the job of the economic consultant to reach an expert opinion in light of all the evidence, both the good and bad. I think it destroys an expert’s credibility to present only the supportive evidence,” he said. Economists who do a lot of consulting on antitrust cases say it is not in their long-term interest to shill for a corporate client. Carlton says consulting is tougher than writing for peer-reviewed journals. For scholarship, “it’s not required for the editor to re-run your numbers. In litigation, the expert on the other side has reviewed to make sure I haven’t made errors. The scrutiny is good and leads to a higher quality of report,” he told Global Competition Review, an antitrust trade publication in 2014. While the data is hidden from outsiders, what matters to Carlton is that there are no secrets between the companies and the government. “When economists are speaking to each other, it’s transparent. They are discussing the economics. The data is turned over to the other side. It’s your model vs. theirs,” Carlton told ProPublica. Several former employees of consulting firms describe their jobs differently. They say they understood that clients wanted them to reach favorable conclusions. The job was “to go through analyses of market data and try to suggest that this merger doesn’t raise antitrust concerns,” said David Foster, who left Compass Lexecon in 2014, after working as a young analyst there for a year and a half. The companies and lawyers that rely on economists as witnesses aren’t looking for neutrality. At the Fordham conference, a panel moderator asked Katrina Robson, a lawyer at O’Melveny & Myers, what she sought in an expert. “To be able to be an advocate without seeming to be an advocate,” she replied. Companies and their lawyers shop around for amenable economists, looking for the reports that provide the answers they are looking for. Karen Kazmerzak, a partner at Sidley Austin, told attendees that she likes to hire two economists if the client can afford it. “It often comes out that one economist is not prepared to deliver the conclusions you need them to deliver,” she said. In those cases, the law firm can fire one economist and go forward with the other, more malleable consultant. 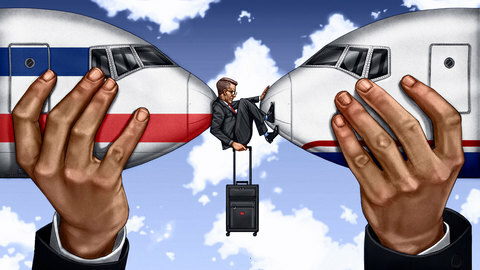 When an expert concludes that a merger won’t pass muster with the government, the corporate client typically either backs out of the proposed deal, figures out concessions to offer the government, finds a more supportive economist at the same consulting firm, or switches firms. Sometimes, according to a prominent antitrust lawyer, unwelcome predictions are locked in a drawer, protected by attorney-client privilege, never to be seen by the government or the public. On occasion, Carlton has told companies that their deals are unlikely to be approved. He’s walked away from at least one merger: H&R Block’s 2011 takeover of TaxAct, a software firm. The government challenged it, and Carlton pulled out a few months before the trial. The companies hired a new expert from a competing firm, who defended the merger in court. The Justice Department used Carlton’s departure to cast doubt on the credibility of the new consultant and won the case. In 2011, when AT&T sought to take over the cell phone company T-Mobile, the government balked. T-Mobile, a smaller and scrappier rival, often tried out new and innovative offerings to keep cell service costs low. Carlton represented AT&T. Based on data the company provided, he predicted that the cost of cell phone service would explode if AT&T couldn’t take over T-Mobile and use its network to meet rising demand. 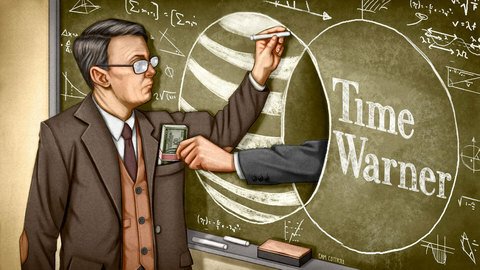 Without the acquisition, Carlton and his Compass colleagues concluded, AT&T would be forced to charge higher prices. When government officials looked closely at Carlton’s model, they realized that it was implying that prices would rise so high without the merger, the cell phone market would shrink by 90% within a few years. Justice Department officials viewed this as wildly implausible. “We find that the applicants’ economic model is deficient,” the government wrote of the work by Carlton and other Compass Lexecon consultants. Soon after the companies announced their deal, the Department of Justice sued to block the transaction and after several months of wrangling, the companies dropped the transaction in late 2011. Even though AT&T was not able to complete its takeover, cell phone usage in the U.S. has not collapsed by 90%. They debated who had the better case. Carlton conceded that AT&T and T-Mobile would have found it hard to win at trial, according to an attendee. But he wished it had gone to court. He was eager to try out a new and provocative argument for mergers: That even though prices would have risen for customers, the companies would have achieved large cost savings. The gain for AT&T shareholders, he contended, would have justified the merger, even if cell phone customers lost out. Carlton’s expert report predicted that T-Mobile was doomed to failure without the merger. “Our review indicates that T-Mobile USA’s competitive significance is likely to decline in the absence of the proposed transaction,” he and two other Compass Lexecon economists wrote. Today, AT&T’s much grander takeover of Time Warner will be an early test case for president-elect Trump, who feuded during the campaign with CNN, a Time Warner property. It will also be a boon for Compass and the small army of academic economists mobilizing for the multi-front battle waged by the government, competitors and the merging companies. Have information about economic consulting or antitrust issues? Please email [email protected] or [email protected]. 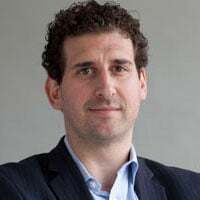 Jesse Eisinger is a senior reporter at ProPublica, covering Wall Street and finance. 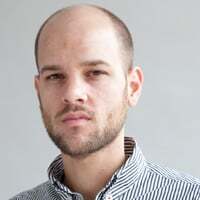 Justin Elliott is a ProPublica reporter covering politics and government accountability. To securely send Justin documents or other files online, please visit our SecureDrop site. Reporting contributed by Derek Kravitz. 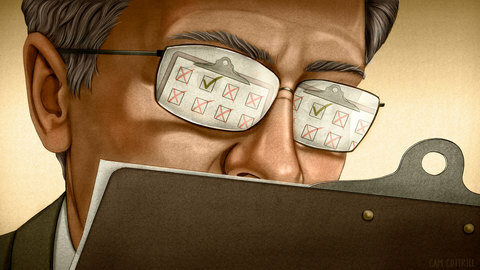 Illustrations by Cameron Cottrill, special to ProPublica. Design and production by Rob Weychert.